Women in Combat… and Selective Service? RUSH: Frank in Elkhart, Kansas. I’m glad you waited, sir. You’re up next on Open Line Friday. Hi. RUSH: I’m very well, sir. Thank you. CALLER: Thank you. I’ve listened to you since about the summer of 1989. I’ve been pretty religious over the years, and I really appreciate your help with my sanity and so on and so forth over the years. CALLER: I’m a first-time caller. I’ve never tried to call anybody else, so I’m really nervous. I’ve just now got my heart rate down to where I can halfway speak decent. 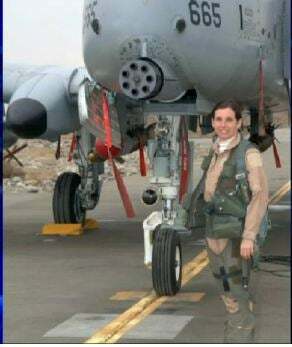 And what I heard last Sunday on the Chris Wallace show, the Sunday show, he was interviewing Lieutenant Colonel McSally. I think she was the first female combat pilot and an Army general who’s I think retired. CALLER: And they were talking — Chris was talking about lifting the ban on women in combat, so on, so forth. And I was listening, and Chris Wallace asked her if she was prepared for young ladies to have to register with Selective Service just like the guys do. And he said, ’cause that’s coming down the road, because with the lifting of the ban on women in combat, they’re gonna have to eventually ’cause it’s gonna go to court. And all things being equal, they’re gonna have to end up registering, and he asked her if she’s prepared for that. And she says, well, there’s a lot of smart folks I know that would argue that we don’t need a Selective Service, but, all things being equal, and that’s what we’re all interested in is equality, that she’s prepared for women to have to register at 18 like the guys do. RUSH: Frank, I gotta take a break here. Sit tight. We’ll come back and continue here after the brief time-out. Don’t go away. RUSH: Back to Frank in Elkhart, Kansas. Let me see if I understand. You watched Chris Wallace on Fox News Sunday and he had two military guests. Women in combat as an issue came up and some people now want to lift the ban on that, which means if you’re gonna put women in combat, women are gonna have to be registered for Selective Service. Right? RUSH: That’s the point. Right now at 18, only young men have to sign up. But if women can be shipped off to combat under the premise, “Hey, we’re all (quote/unquote) ‘equal’ with the proper constitutional rights,” then young girls are gonna be required to register for Selective Service. Even though there isn’t a draft, you still have to register, and there might someday be one. My guess is you’re not cool with that and you probably have a daughter who’s not cool with it, or you have some friends who have daughters who are not cool with it, right? CALLER: That’s right. I’ve got seven daughters, and six of them are 18 to about nine months. I talked to my 15-year-old daughter the other day and I asked her, “Are you ready to sign up for Selective Service when you turn 18?” and she practically squealed, “I’m not doing that!” I’ve been around a lot of girls — girls’ friends and all that business — and I think they’re all gonna squeal. You know, they all want their equal rights and all that stuff. But they don’t want equal responsibilities, and that’s what signing up for the draft is. It’s responsibility. RUSH: Well, you know, I think that’s a good point, but I think there’s something else going on here. Let’s face it, the left uses the US military as a laboratory or a playground for their silly little social beliefs, and this whole concept of, “There’s no difference in men and women except the way they’re raised and women can do combat just as well as men”? Yeah, right. Do you see women playing in the NFL? I mean, it’s absurd. Anyway, the point is I will bet you that you have a bunch of people, Frank, who when they hear “women in combat” say, “Oh, yeah! I’m into fairness. CALLER: Well, they were talking about how this had already been to the Supreme Court, and the Supreme Court ruled that girls didn’t have to register for Selective Service because they aren’t combat ready. RUSH: That may be. I’m not up to speed on that. CALLER: I believe that’s what Chris Wallace had said. He kind of presupposed that, you know, in his question. Now that the ban has been lifted, they are combat ready and that this is coming down the pike sooner or later. I just don’t know why this hasn’t been addressed. Maybe I’m hypersensitive ’cause I’ve got daughters and granddaughters. RUSH: Frank, I don’t think anybody’s thinking of that that way. You know, women in combat is women firemen, equal rights, equal pay. They’re not even thinking what it really means. Then when you point out to them, “Well, women in combat? The only reason women don’t have to register for Selective Service is the Supreme Court said,” if you’re right about this, “they’re not being shipped off to combat because they don’t have any combat roles for them.” If that’s gonna change, that’s when people will say, “Wait a minute! I don’t mean that. I just meant if women want to carry guns, let them.” I think it’s gonna wake a lot of people up like it has awoken you and your seven daughters and whoever else you’re talking to about it. RUSH: I just think people are not putting two and two together here and getting four. CALLER: Well, can you imagine all those college age girls and high school girls, if they’re told that they have to do that when they turn 18 just like the guys do, what kind of reactions they’re gonna get out of that? RUSH: What do you think their reaction’s gonna be? RUSH: Well, they’re not gonna have any choice. RUSH: Again, I’m repeating myself. Of course it’s unlikely, but I could be wrong. I just think “women in combat” is almost a buzzword or a buzz phrase. It’s something that the feminazis and the women-are-being-discriminated-against crowd can point to as a way to equalize things. “Women are being discriminated against! They need to be let go to combat.” It’s just an isolated thing. Then when you point out what the consequences are and reality hits them, they find out there’s much more to it than just the so-called romance of being in combat. It will wake a lot of people up. With the concept women’s rights and inequality and discrimination, I’ve always thought a lot of people have this dead wrong anyway. For example, in the workplace, women have much more freedom than a man has, both as an employee and as far as public perception is concerned. Let me give you an example. A woman, because of the cruelty of nature, women are the only ones with wombs. And because of the cruelty of nature, therefore women are the only ones who can give birth, until the NFL comes up with the artificial womb and then equalizes things. But until then it’s only women. So allowances have to be made. Motherhood is very important to the American society and culture. So we allow maternity leave. Paid maternity leave, and sometimes it’s many, many months. And while the new mother is on leave, the job has to be kept open for her while somebody else is doing her job, so two people are being paid while one person’s doing the work, then that job has to be available for her when she decides she wants to come back, and in some cases, depending on the vagaries of power at a business or company, maybe there is daycare at work so that mom can bring little Johnny in, sit at the daycare center at work or not, but some places have been motivated to offer such things as an employee benefit. If a woman at age 35 starts getting nervous because the biological time bomb is about to explode and she realizes she hasn’t yet had a child and hasn’t yet had a family and wants to do that, she announces that she’s leaving work to go home and start a family, and what does society do? Applauds her. That’s a wonderful thing. She wants a family. She wants to be a mother. She’s leaving her career, leaving her job, she’s going home. And don’t misunderstand. People, you know, properly applaud it. Women have a lot of flexibility in the workplace. If a man tried any of that, he’d be finished. No man is gonna get nine months, six months, one month of maternity leave. Well, I could be wrong. Maybe they do now. If a man at age 35, or 38, “You know what, I want to be a house husband,” and quits his job, that’s not applauded. His role is to keep the nose to the grindstone and keep working to provide for that family. But women in the workplace have a lot more flexibility — I’m not gonna say freedom — culturally in terms of stigma and in reality much more than men do. The reason I bring this up is because you attach, okay, here men have to sign up and always have had to sign up for Selective Service, and when there was the draft, it was male only. I’ll take you at your word. Supreme Court decision that Selective Service applies only to men because only men serve in combat during times of draft. If that’s gonna change, if women are gonna have combat roles, I guaran-damn-tee you they will be required to sign up for Selective Service, and there will be hell to pay. The feminazis, leaders, “No, it’s a denial of freedom. What do you mean, it’s not equal rights. What if a woman doesn’t want to sign up?” I’m not saying this is right. I’ll give it another go. I think women in combat is almost one of these rallying cries that most of the people who are for it don’t even really stop to think what it means. It’s just the latest cause. It’s just the latest way of expressing anger at the unfairness and the inequality, the discrimination that exists against women. I think any culture that would knowingly send its women off to combat needs to seriously examine itself. But that’s just me. I don’t think it’s a great culture and magnanimous and open and free, whatever, that decides its women are worth sending off. It’s an ignoring of the difference in roles, but we live in a culture which is trying to blur that difference, make everybody the same. “No way, Jose. I’m not having my daughters — no way, she’s not gonna be drafted.” Well, I just don’t think people are thinking about it on this or a whole lot of things, to tell you the truth. RUSH: It was a Supreme Court decision, Rostker v. Goldberg, 1981. The combat exemption, women, if it’s lifted, there is no constitutional reason to exclude women from the draft, if the ban on women in combat’s lifted. So get ready to sign up for the draft, ladies.